1) (Kent). (Sir John Cage, Knt., of Langstone, co. Cambridge, 1593, grandson of Anthony Cage, of London, Salter). Per pale gu. and az. a saltire or. Crest—A stag pass. erm. attired or, charged on the shoulder with an annulet gu. 2) (Lincoln’s Inn; confirmed 1 March, 1624). Same Arms, with a chief erm. 3) (Loughstow, co. Cambridge). Per pale ar. and gu. a saltire or, in the first quarter three bulls’ heads couped at the neck sa. This Anglo-Saxon local surname means “at the cage”, likely from residence near or in a building called a cage, perhaps a prison. It derives from the Old French or Middle English word cage, or Old French word cagier, meaning an enclosure, which in turn derives from the Latin word cavea, meaning a cave or container. Another theory is that it is an occupational name for a person who made or sold small cages for birds or animals, or for the keeper of a public cage or jail where criminals (usually petty) were imprisoned (in other words the name may refer to a jailer or prison guard) Yet, another theory is that it comes from a cag, meaning a stump, and has a separate origin all together. In the US Census of 2000, the surname ranked 6,377th in popularity. Common spelling variants Cadge and Cadger. The foreign equivalents are Kaggi (Norse, nickname), Karge (Swedish), Kage (German), Kagie or Keg (Dutch, personal name). It is also a reduced form of the Irish surname McCage, which is itself a derivative of the surname McCaig. Some claim its related to the name Gager. One of the earliest known bearers of this surame was William Cager who was recorded in the Essex Subsidy Rolls of 1319 AD. A one John ate Cage was recorded in county Somerset during the reign of Edward III in Kirby’s Quest. Early baptisms involving this surname Elizabeth, daughter of Thomas Cage, at St. Antholin in London. Early marriages involving this surname include Robert Cage to Kilbourne at St. Dionis Backchurch in London. Once source claims the family was first documented in Cambridgeshire where they held lands and titles for hundreds of years. A one John Cage was born in 1430 AD. He had a son named John Cage, who was born in 1460 in Pakenham, England. 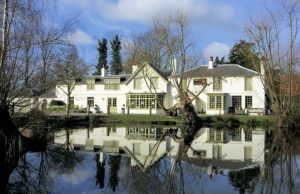 He married Margaret Anne Tawyer and together they had two children: Isabella Cage Bacon and Henry Gage (Gade of Raunds). He died in 1496. 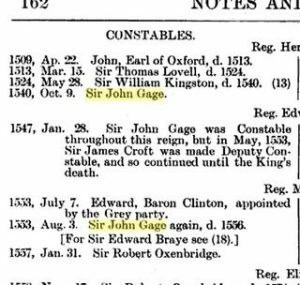 A one John F. Cage was born in 1627 in London, England. He married Annie Hall and together they had a daughter named Elizabeth. He died in Charles County, MD. A one William Cage Sr. was born in 1745 in Prince William County, Virginia. He married Ann Nancy Hall and later Elizabeth Douglass, and together they had five issue: Pricilla (Hale), Reuben, John, Jesse, and Albert Gallatin. His son Reuben was born in 1772 in Culpeper, VA. He married Mary Morgan in 1800 in Sumner, Tennessee and had three children with her: Orville L., Nancy Hall (Watkins), and Elizabeth Sophia (Franklin). He died in 1863 in Cages Bend, TN. His son Orville was born in 1800 in Cage’s Bend. He married Louisa Elizabeth in 1838 and Harriet S. Douglass in 1841. Early settlers include John Cage (Maryland 1635), Noragh Cage (Maryland 1658), Gilbert Cage (Virginia 1680), L. Cage (New Orleans 1822), and B.F. Cage (Texas 1835). There is not a recorded motto for the Cage family. Later people bearing this surname that bore the arms: 1) Cage, Nicholas, gentlemen, confirmation of Cage, Quartering Haynes, circa 1605 AD, by Camden and 2) William Cage, an outer barrister of Lincoln’s Inn, and the sons of his father Robert of Cambridge and London, succeeded Richard of Packneham, Suffolk, alter 1 March 1624-5, by R. St. George. Famous people with this last name include: 1) Nicholas Cage (b. 1964) who is an American actor and producer from California and 2) John Cage (1912-1992) who was an American composer, music theorist, and philosopher.